Today you can use your mobile devices as music player, camera, for office work and even as musical instrument. With adding music apps you can create awesome music on your mobile device. You can create and record your music. If you are Piano lover and want to use your mobile device as Piano then here are free apps to play Piano on your mobile device. All the Piano apps are easy to install and use. In your Smartphone’s and tablet the melody of these in your Smartphone are similar to that of real instruments. Virtuoso Piano Free 2 HD is free Piano instrument app for iPod touch, iPhone and iPad. Learn and play the piano anytime and anywhere. You can also have the pro version of this app for availing some more advance features of this app. xPiano is a simple piano application for Android based mobile. xPiano have +4 octaves piano keyboard, 12 instruments, Adjustable piano keyboard width, Multi Touch(Android2.1), Record and Play. 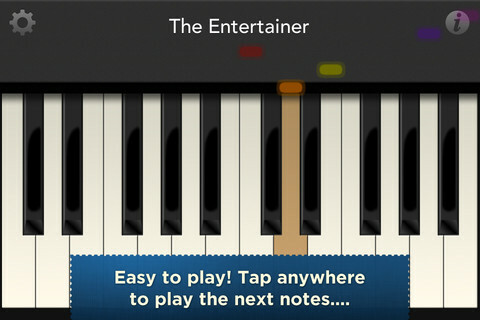 This application allows you to play piano using a multitouch, scrollable, three-octave keyboard. You can choose the tones of instruments such as piano, church organ, electric organ, hardsichord, bells etc. Tiny Piano is another iTunes piano app. Tiny Piano app is said to be the easiest way to play piano in your phone. It comes with 170 songs and scales. Using this app is a beautiful experience of like playing piano in real. Perfect Piano is another free piano app for Android. You can use this app to learn the piano quotes perfectly as it has what a real piano has in it full keyboard, dual row mode, downloadable sample songs and much more.